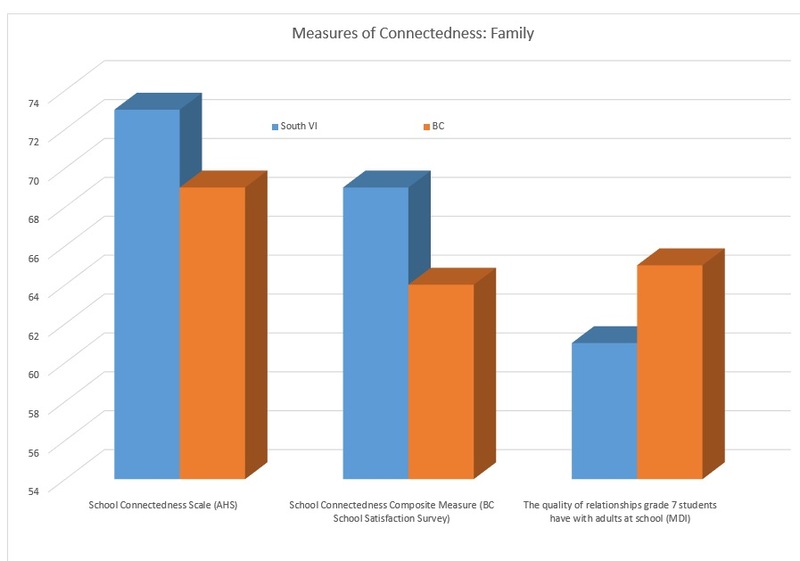 Our plan was to create an ‘Index’ that would enable us to measure the connectedness of children and youth in the four domains of family, school, community and peers. Engage the community in increasing connectedness for young people. A working group made up of members of the stewardship committee took on the task of developing the index. We completed a comprehensive survey of all relevant indicators for measuring connectedness for young people that are currently in use worldwide. Then, we determined what data were available locally. As it turned out there were more data gaps than data. We consulted with numerous experts throughout the process of selecting the measures. 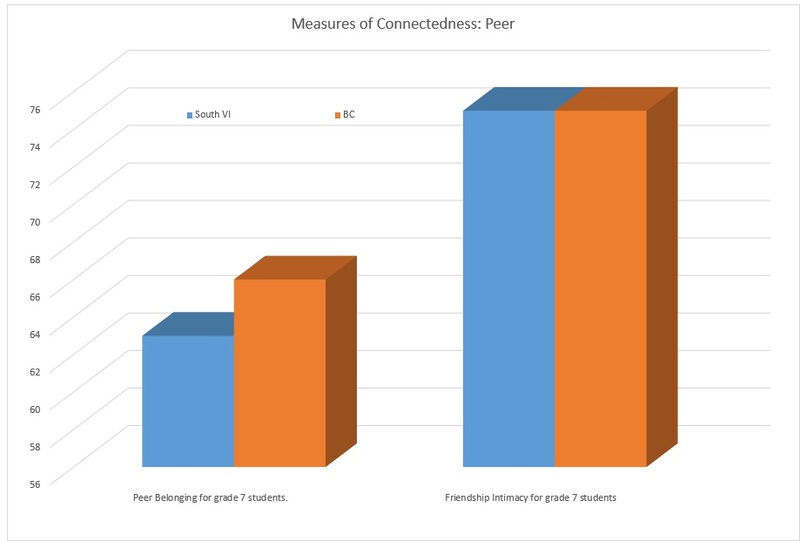 When it became apparent that there weren’t sufficient data to create an index, we began to call what we had developed the ‘measures of connectedness’. 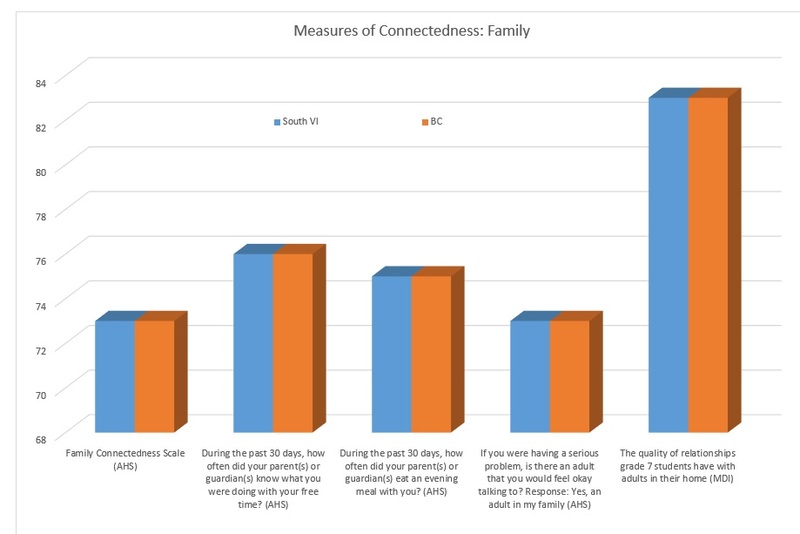 These measures enabled us to compare Southern Vancouver Island data to data at level of the province of British Columbia. *The MDI data sets are incomplete. 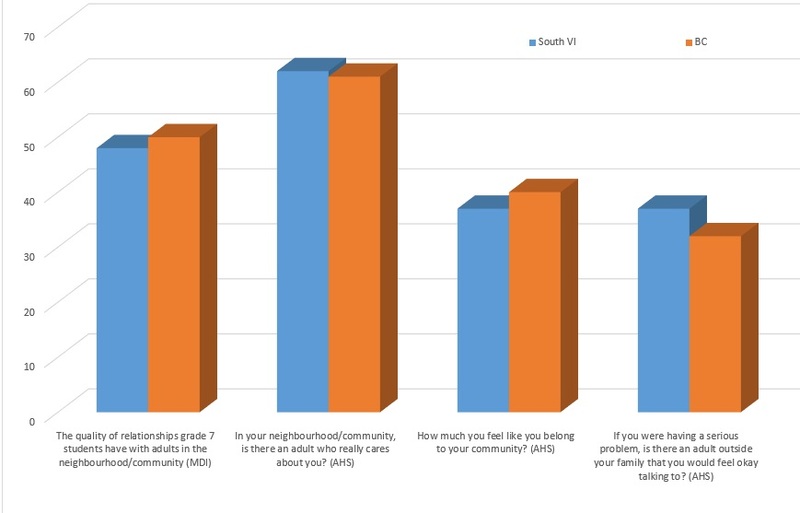 South Vancouver Island data available from SD61 only and BC data is available from just a subset of school districts in the province.